Salon Booking plugin has its first official add-on “Squareup payment method”. 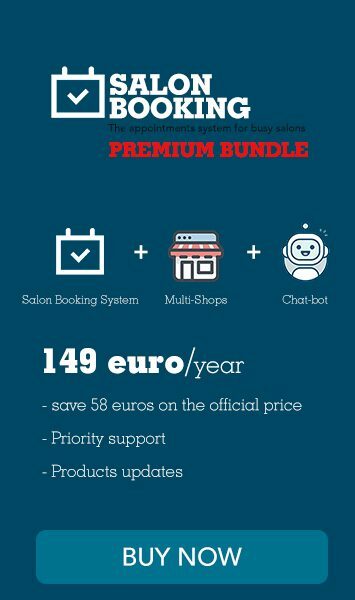 We’ve finally released the first of a long series of add-ons that will empower the Salon Booking plugin functionalities. We’ve started with a new payment method that will allows you to process online payments with the famous Square platform. Square is available for online payments only for USA and Canadian users but they plan to be available in new countries in the future. More information on Squareup payment method add-on here.